Since it's now September (already?!) I thought it'd be good to ease back in with a few goals for the month. 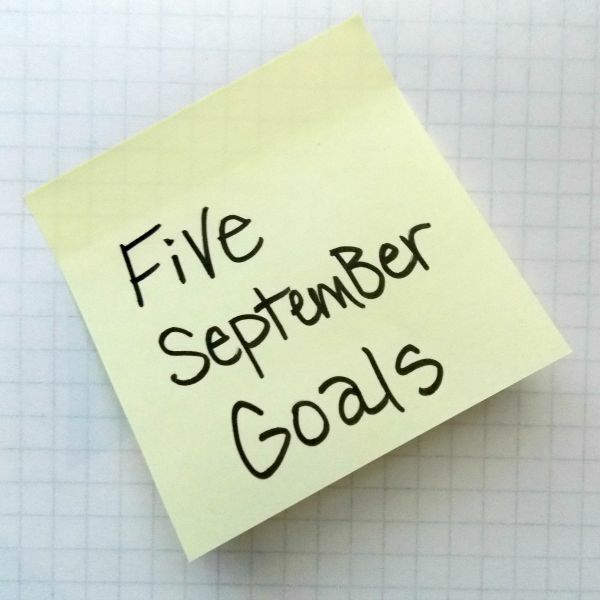 Since I didn't post any goals throughout the summer, I'll just jump into this month's goals! September has to be one of my favorite months because it signals the beginning of my favorite season (and boot weather!). I once heard that you usually love the season you were born in. If that's true then it works in my case (I was born in November); I relish cooler nights and warm fires. 1. Use smaller font on the blog. (See how I did that? One goal done!) Upon returning to blogging, I found that I honestly didn't like the huge size I had been using; so it's back to medium for me. 2. 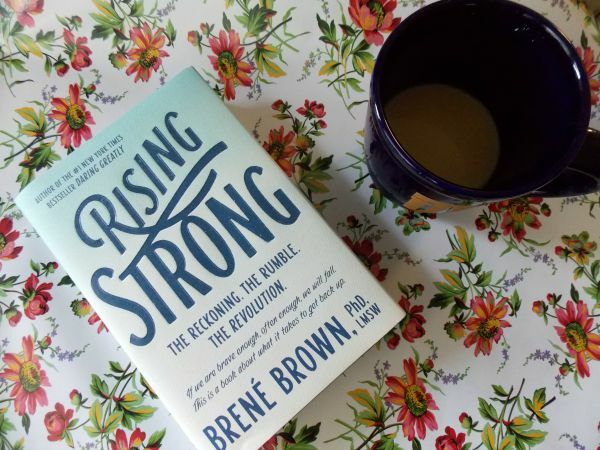 Read Rising Strong by Brene Brown. I've started it this week and I can tell this book is going to push me ~ in a good way. Forward. 3. Have one Pumpkin Spice Latte (and try to find a good Paleo recipe so I can have more guilt-free). I ate Whole 30 over the summer and felt so amazing that I'm trying to stay Paleo as much as possible with an occasional treat here and there when celebrations call for it (and the coming of Autumn deserves a celebration in my book ~ sorry if's that's too blogger cliche). 4. Streamline my Instagram feed. I'm a little obsessed with Instagram; so many beautiful photos, so little time! But I feel like my own Instagram feed has been kind of all over the board so I'm wanting to work on creating a more cohesive feel. I'd love it if you joined me! My Instagram handle is: CatherineDentonPhotos. 5. Paint, paint, paint! I have a lot of time now to focus on my art and I am currently painting a LOT. I want to continue this and branch out in some ways I've dreamed of for awhile. What about you? Any goals you'd like to reach this month? Thank you, Jamie! I thoroughly enjoyed my hiatus but I'm happy to be back. Somehow it doesn't surprise me that we're fall babies together! :) I'll have to look up Thrive, that sounds like an interesting book. Good luck on your writing and your project! Maybe the cool air will help ~ it always gets me in the reading/writing mood. I'm really enjoying your blog! Thanks for directing me to it. Our family also eats paleo and does whole30 2-3 times a year. One thing my 11 yr old wanted to make was pumpkin spiced lattes so we came up with a paleo-ified creamer. We mixed coconut milk (full fat canned) with pumpkin purée and pumpkin spice and then added a little maple syrup for the sweetener. You could also make date syrup or use honey. We just played around with the amounts until we all liked it. It's delicious!